Tender documents allow for the possibility of building a private power station with a 140-megawatt capacity to operate the plant. The ministerial tenders committee will reveal in November which international consortia will be invited to submit bids. U.A.E. – Last Sunday the Abu Dhabi Department of Energy revealed it is reviewing tenders proposed for the Taweelah desalination plant. The Taweelah facility will have a production capacity of 909,218 m3/d and the region’s lowest ever water tarrif at $0.49 per cubic meter. It will be located 45 kilometers north of the Emirate of Abu Dhabi. Seven tenders have been received thus far by the Department of Energy. Companies that participated in the bidding included: ACWA Power, Engie, Sumimoto, Marubeni, Veolia, Valoriza, Utico, Cobra Instalaciones y Servicios, Orascom Construction, Samsung Engineering Co, Acciona Agua, Pal Group, Suez International, Sojits and Besiz SA..
SAUDI ARABIA – The Indian firm VA Tech Wabag has won a contract to expand the production capacity of the Marafiq wastewater treatment plant in Jubail by 200,000 m3/d. The plant is located in the eastern province of the kingdom and will treat sewage from Jubail Industrial City. PAKISTAN – After a meeting this week, officials from the Korangi Association of Trade and Industry and the Association of Builders and Developers of Pakistan identified desalination as the most effective solution for addressing water scarcity in Karachi. They advised the provincial and federal governments to take action and initiate projects that the business community would be willing to support. PAKISTAN – The Balochistan Chief Minister Jam Kamal Khan inaugurated a new desalination plant in Gwadar last month. The plant was built under the supervision of the Frontier Works Organisation and has a production capacity of 909.22 m3/d. The Chief Minister stated that the provincial government has undertaken major steps to provide drinking water to the people in the province while also initiating development projects in Gwadar, Pasni and Jiwani. AUSTRALIA – AMP Capital purchased a 6.8% stake from Infrastructure Australia of the Victorian Desalination Project (VDP), which has been minimally used since its completion since 2012. With this purchase, AMP Capital increased its holding in VDP to 16.5%. The incremental stake cost was estimated to be around $71.95 million. VDP is a public private partnership project contracted to supply water to Melbourne until 2039. Sonia Gorodeisky “Israel publishes tender for world’s biggest desalination plant”, globes.co.il, Oct 29, 2018. 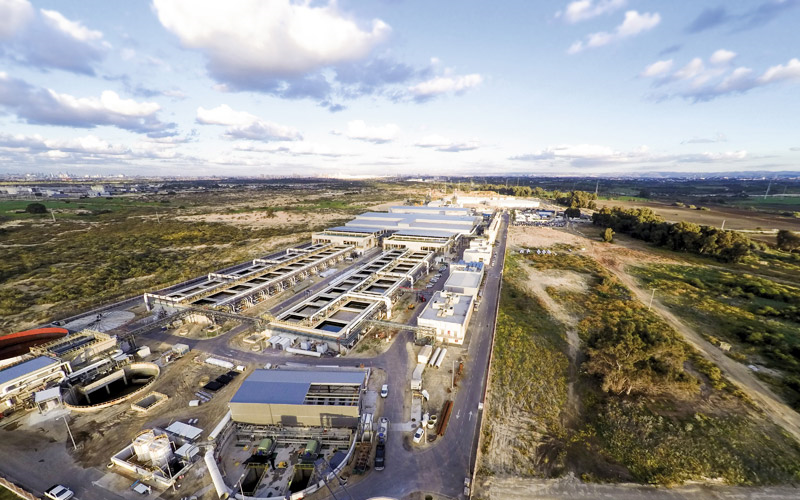 <https://en.globes.co.il/en/article-israel-publishes-tender-for-worlds-biggest-desalination-plant-1001258500> accessed Nov 5, 2018. “UAE Department of Energy Studies tenders for establishing Taweelah Desalination Plant”, zawya.com, Nov 4, 2018. <https://www.zawya.com/mena/en/press-releases/story/UAE_Department_of_Energy_Studies_tenders_for_establishing_Taweelah_Desalination_Plant-ZAWYA20181104102332/> accessed Nov 5, 2018. 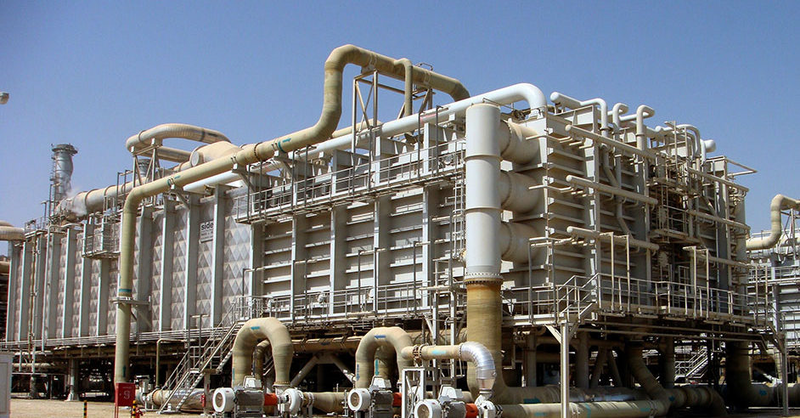 Andrew Roscoe “Indian contractor wins Saudi desalination deal”, meed.com, Nov 1, 2018. <https://www.meed.com/indian-contractor-wins-saudi-desalination-deal/> accessed Nov 5, 2018. “Trade bodies suggest desalination plant for Karachi”, tribune.com.pk, Nov 3, 2018. <https://tribune.com.pk/story/1839401/2-trade-bodies-suggest-desalination-plant-karachi/> accessed Nov 5, 2018. Mohammed Zafar “CM inaugurates desalination plant in Gwadar”, tribune.com.pk, Oct 22, 2018. <https://tribune.com.pk/story/1831078/1-cm-inaugurates-desalination-plant-gwadar/> accessed Nov 5, 2018. Florence Chong “AMP Capital lifts stake in Australian water asset to 16.5%”, ipe.com, Nov 2, 2018. <https://realassets.ipe.com/news/amp-capital-lifts-stake-in-australian-water-asset-to-165/realassets.ipe.com/news/amp-capital-lifts-stake-in-australian-water-asset-to-165/10027664.fullarticle> accessed Nov 5, 2018.